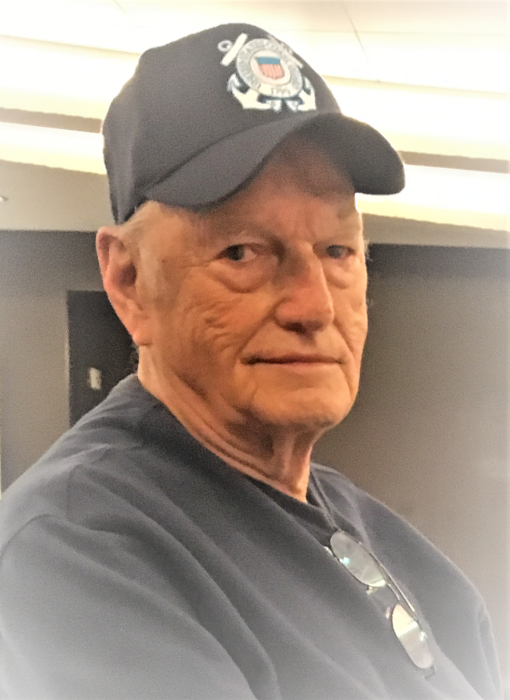 Merrill K. Wood of Viera, FL died of heart-related problems in his home, surrounded by family, on Nov. 26, 2018. He was an electrical engineer graduate of the University of North Dakota. However, his main career was as an airplane and helicopter search and rescue pilot with the United States Coast Guard. He retired as a Captain after 30 years service. In those years he and his wife, Mona, were proud to sponsor many international students in their educational endeavors so that they might enjoy an enriched life and give leadership to the next generation. Additionally, he lived an active life, travelling, skiing, going to concerts, rolling up his sleeves for do-it-yourself projects, and being involved in the church and social activities of his communities, the last of which were Indian River Colony Club and Canaan Valley, WV. Those who knew him well were inspired by his “keeping on” despite various health challenges. He is survived by his wife, Mona Wood, a woman he routinely admired and felt proud of, and three children and their spouses (Jeff Wood and Denise, Allison Baur and Paul, and Stacey Guthiel and Dale), ten grandchildren, and five great grandchildren. They are grateful for his life and will miss him even as they commend him to God’s care. A service will be held Friday, Nov. 30 at 2 p.m. at First Presbyterian Church of Sebastian, FL, where they were active members. Another chance to pay respects to him will be at a Celebration of Life Reception in IRCC on Dec. 5 at 2 p.m. His final resting place will be at Arlington National Cemetery at a date and time yet to be determined. Memorial gifts may be made, if so desired, to the USO (uso.org), Wreaths Across America (wreathsacrossamerica.org), or the IRCC Foundation.